Get pricing insights for your supplies and chemicals. No more hunting down sales reps for quotes. Link your supplier accounts and automatically get offers on products you already buy. We pool together the purchasing power of 1000+ research labs. No more painful price comparison. Type in a chemical CAS number, and we'll show you dozens of vendors that provide that chemical. Find up-to-date stocking information, purity, sizes, and pricing information across all major suppliers and manufacturers, with direct links to relevant sites. See what researchers are really paying. List price is just a guideline. Is your price a great price, or is it a ripoff? Give yourself negotiating power with your sales representative by finding what others are paying for the products you buy. 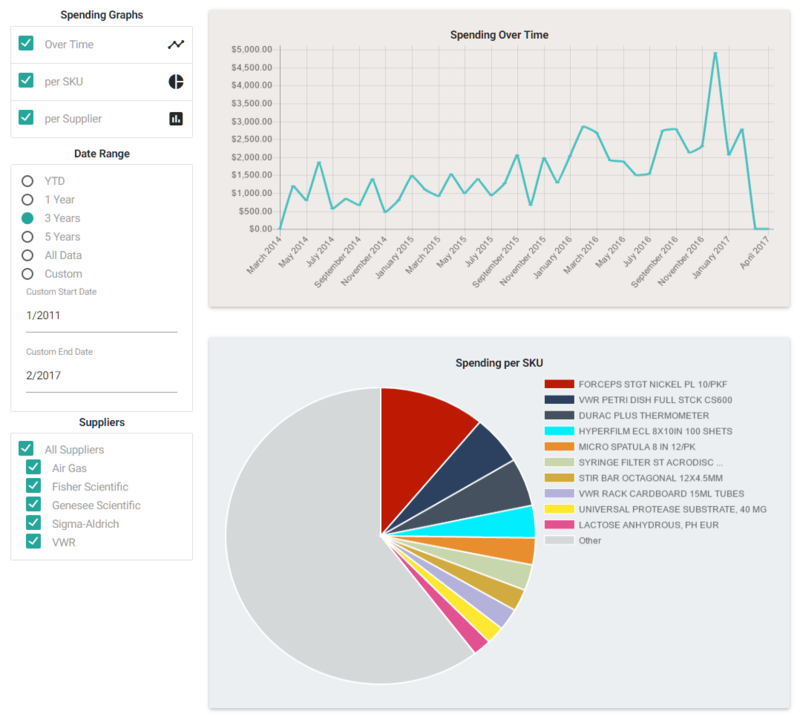 Measure and analyze all of your spending history in one synchronized, easy-to-use dashboard. Be the master of your money so you can get more out of lab. 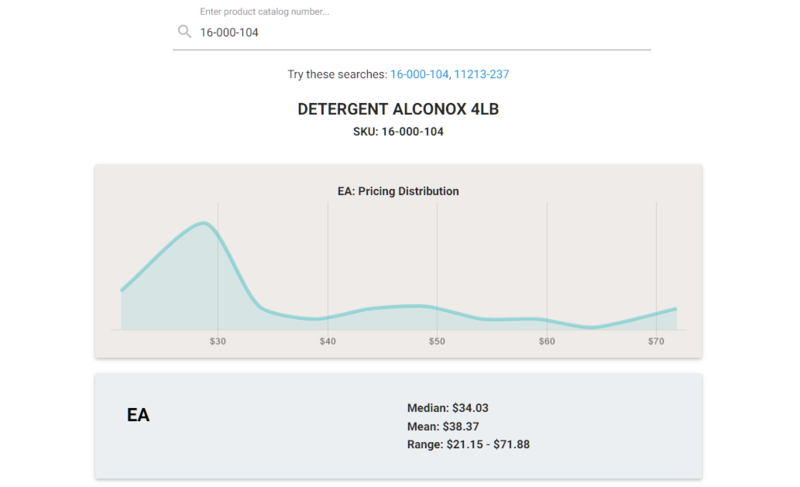 Find vendors, compare prices, view analytics on your lab's purchasing, and get better pricing on products you've already purchased. Research the market and get competitive intelligence that can give an edge with pricing. Generate leads, sell products directly to consumers, and research the market to know what you charge. © 2019 P212121, All rights reserved. Please use your university email address.